Samsung has added another Android smartphone to their growing Galaxy range with the launch of the Samsung Galaxy Pocket, which is a budget Android smartphone. 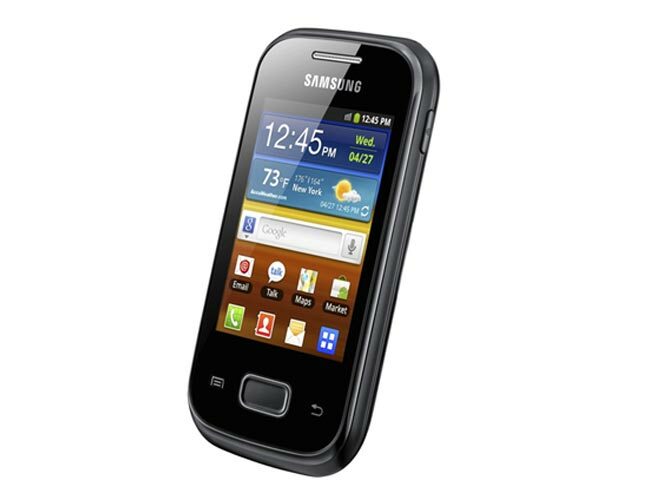 The Samsung Galaxy Pocket comes with Androd 2.3 Gingerbread and it features a 2.8 inch QVGA LCD display with a resolution of 240 x 320 pixels, processing is provided bu an 832MHz processor and the device comes with 3GB of expandable storage via a microSD card slot. 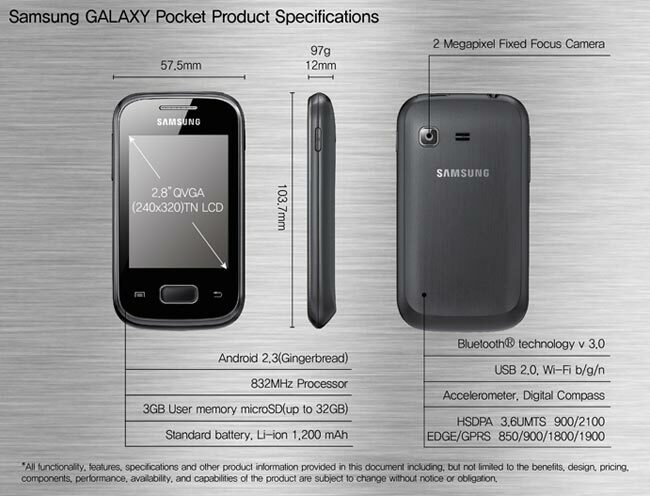 The Galaxy Pocket features a 2 megapixel fixed focus camera, Bluetooth 3.0, USB 2.0, 802.11 b/g/n Wi-Fi, an accelerometer and a digital compass. Samsung haven’t announced any pricing details as yet, although we do know that it will go on sale in Europe, starting with Italy this month, and then other European countries, plus Latin America, Asia and the Middle East.